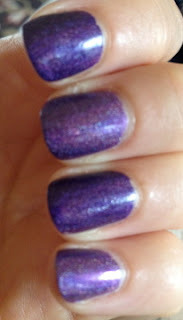 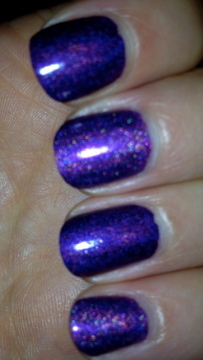 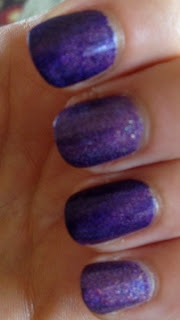 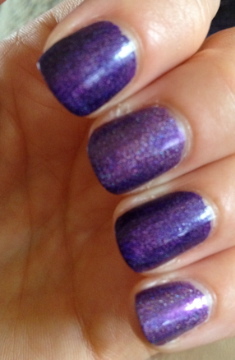 Today I have two purple holo comparisons to share with you. I don't know about you, but I love comparison posts. 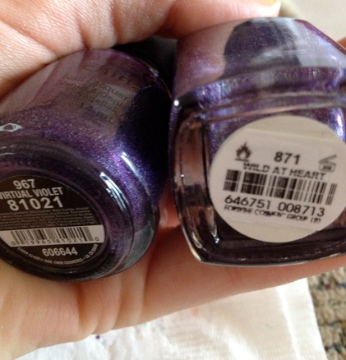 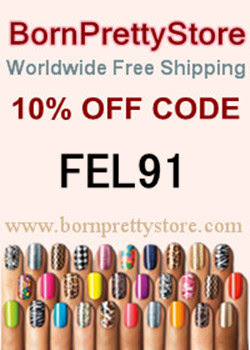 I hate dupes and I love seeing that some of my beloved polishes are in fact different enough to justify me owning them, lol. The purples I have to show are China Glaze Virtual Violet and Color Club Wild At Heart. Index and Middle are China Glaze, Middle and Pinky are Color Club. 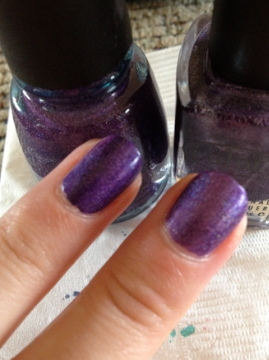 Two coats of each.